SPRING SHOW: Plumpton & District Horticultural Society are holding their Spring Show at the village hall this Saturday (April 6) at 2pm. For a Show Schedule call Gill Stewart-Brown on 01273 890572. The Show is open to everyone members, children and non-members and each class only costs a few pence. Do take along your flowers, pot plants etc. and help make it a colourful show. Entries need to be there by 9.30am and stewards will be on hand to help if you are a beginner and not sure what to do. To learn more and see the flowers, crafts and produce on display do go along at 2pm. There will be refreshments, pick a lucky number and a tombola. Entry costs 50p, children free. PLUMPTON CIRCULAR WALK: (about four miles) with the Footpath Society also takes place this Saturday (April 6). Meet members at 2 Strawlands, Plumpton Green (Map Ref: 324 239) ready to start walking at 2pm. The walk will be followed by a cream tea. For more details call Jo Taylor on 01273 890450. FLOWER CLUB: meet, at the village hall, on Wednesday April 17 at 7pm for their AGM. This will be followed by a demonstration. Visitors are most welcome and the cost is £3. There is always a raffle giving a chance to win one of the demonstrators’ arrangements. For more details call Gill Wells on 01273 890561. JUMBLE SALE: takes place, at the village hall, on Saturday April 27 at 2pm to raise funds for the Honeybees Preschool. Donations of jumble will be much appreciated. Please take donations of jumble and cakes to the hall from 9am to midday. There will be a tombola, toys, books, clothes, bric-a-brac, cakes and much more. There will be lots to rummage through so do go along, you may well find a bargain. Entrance costs 50p, with children free. 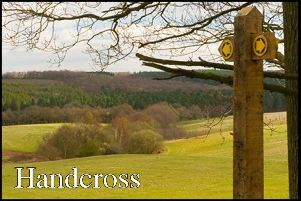 GROOMBRIDGE: walk with the Footpath Society is on Sunday May 19 starting at 2pm at Aythons Wood Car Park (Pay and Display) Map Ref: 533 365. The walk will include Birchden Forge, Motts Farm, Bullfinches Farm and Motts Mill. For more details call Diane Ellis on 01825 723716 or 07990710521.